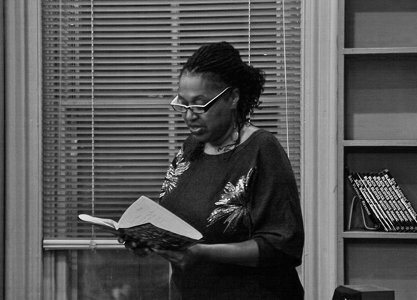 Octavia’s work has appeared in many journals and anthologies including Damazine; A Literary Journal of the Muslim World, Fingernails Across The Chalkboard: Poetry And Prose on HIV/AIDS From the Black Diaspora, Under Our Skin: Literature of Breast Cancer, Sea Breeze- A Journal of Contemporary Liberian Writing, The Journal of the National Medical Association, Art in Medicine Section and the Beloit Poetry Journal. Assuming Voices, a poetry collection, was published in 2003 by Lit Pot Press. Her newest collection of poetry, Where My Birthmark Dances, was published in 2011 by Finishing Line Press.